The centre “will improve the ease of transactions between companies in the region and China by allowing them to settle their trade directly in renminbi, drawing increased trade through Qatar and boosting bilateral and economic collaboration between Qatar and China,” said ICBC chairman Jiang Jianqing. At present, Qatar and the Gulf’s other wealthy oil and gas exporters use the U.S. dollar much more than the yuan. Most of their currencies are pegged to the dollar, and most of their huge foreign currency reserves are denominated in dollars. 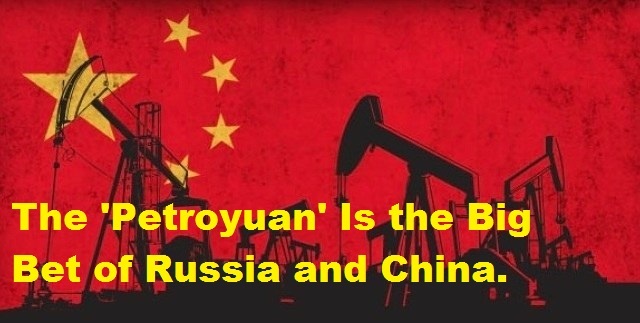 This is largely because their energy exports to China are mainly denominated in dollars, the currency of choice in oil and gas trade. The yuan is not a fully convertible currency, limiting its attraction for use in central bank reserves. But the Gulf’s non-oil imports from China have been growing rapidly, and banks servicing the trade may want to use Qatar’s clearing centre rather than having deals cleared in Shanghai or Hong Kong. Total two-way trade between China and Qatar tripled between 2008 and 2013 to around $11.5 billion. Officials declined to give any projections for the amount of business which Qatar’s clearing centre would eventually conduct, but some bankers think it could become considerable. In a report this week the Dubai Economic Council, an advisory body to the Dubai government, suggested that the emirate develop as a regional clearing centre for yuan dealing. However, this would require the agreement of the United Arab Emirates central bank, which has moved less quickly than Qatar on the issue. Last November, the Chinese and Qatari central banks signed a 35 billion yuan ($5.6 billion) currency swap deal, equal in size to a three-year currency swap agreement inked between China and the UAE in 2012. The deals allow the central banks to swap currencies if needed to ease trade and investment, and could eventually be used to diversify the Gulf central banks’ foreign reserves. Also on Tuesday, Qatar National Bank, Qatar International Islamic Bank (QIIB) and Chinese brokerage Southwest Securities signed a memorandum of understanding to establish a company handling Islamic finance deals in China.